Surge protectors eventually expire- How long your surge protector lasts will depend on how many surges or spikes occur in your neck of the woods. The more surges you have, the shorter your surge protector’s life will be. Some surge protectors have a light that will tell you when the surge protector stops working, and some of the more expensive models will even have an audible alarm that will sound, but you should keep in mind that many of them won’t give you any kind of warning. That is why it is a good idea to replace your surge protectors after any big electrical event. 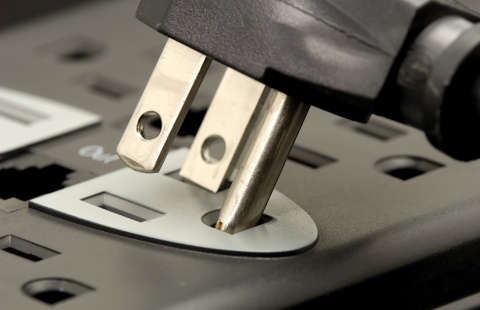 Some surge protectors come with a warranty for your electronics- Some surge protectors provide a warranty for the electrical devices that you have plugged into it! Keep in mind that you may never have to use your warranty, but it might be nice to know that it’s there! Surges can occur on any kind of wire- Did you know that surges aren’t limited to power cords? They can also come from your phone line or your cable line. So, if you just bought a new big screen TV, you may want to consider buying a surge protector with a connector to protect it from surges in your cable line!